There are a number of viruses that can infect the foetus in utero with adverse consequences, but only rubella virus is truly teratogenic i.e. causes developmental anomalies, due to disruption of embryonic tissues. 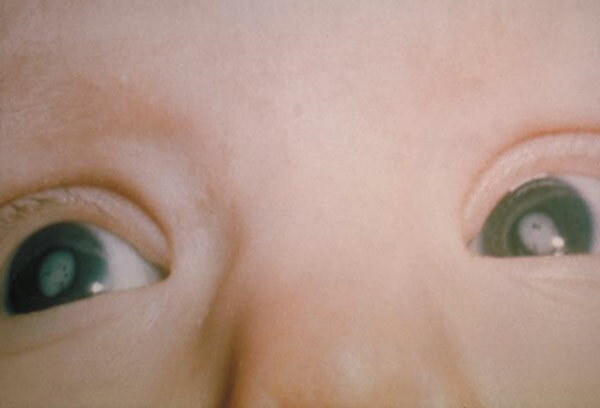 Clinical data: The specimen is from a 6-day old boy born at 32 weeks of pregnancy. The mother had had rubella when one month pregnant. The significant features at autopsy were bilateral cataracts and a congenitally abnormal heart. Macroscopically: The heart possesses a widely patent ductus arteriosus and a ventricular septal defect some 4mm in greatest diameter. This specimen is missing, so a diagram is substituted. Comments: Cataracts, sensori-neural deafness and a cardiac defect in a newborn constitute the rubella syndrome, which results from maternal rubella infection in early pregnancy. The risk of developing cardiac defects is about 50% in the first month of gestation reducing to less than 10% in the third. 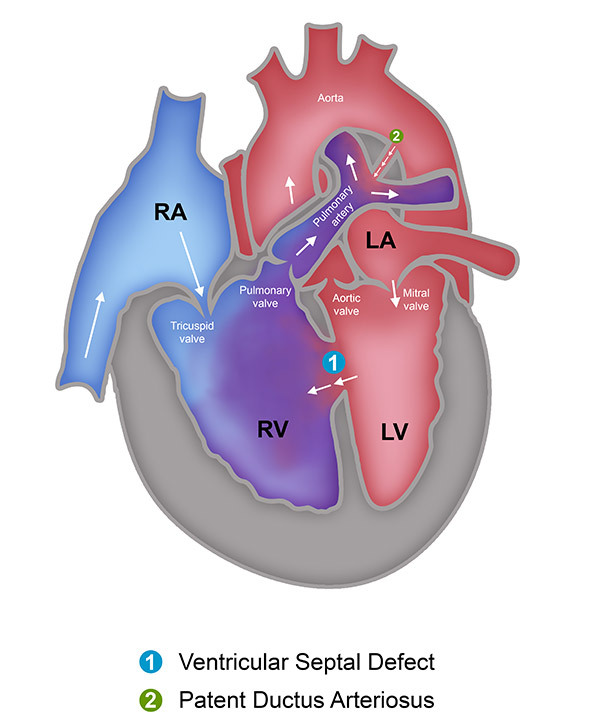 The common cardiac defects are PDA, pulmonary artery stenosis, septal defects and less commonly aortic coarctaton or stenosis. Menser MA & Reye RDK. The pathology of congenital rubella: A review written by request. Pathology. 1074; 6:215-22.